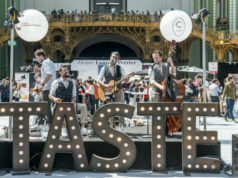 The city’s hotels are getting ready to welcome guests for the summer with new special packages, restaurant menus, and even refurbishments. 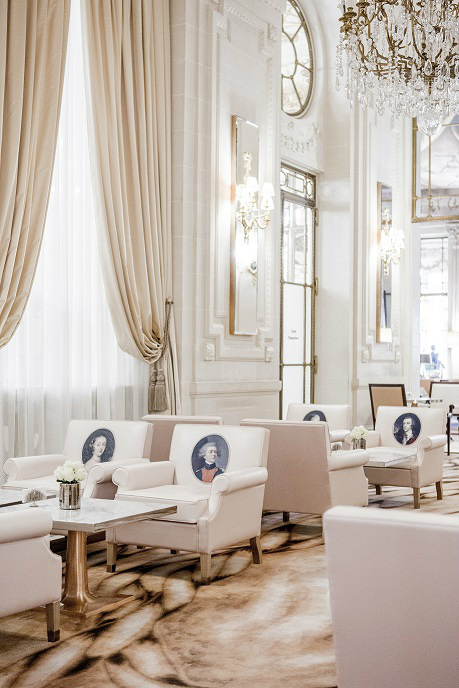 Leave it to Paris’s fabulous hotels to come up with a way for you to experience even more of the city. Here’s a sampling of fun hotel news in the month of May. Already one of our favorite places for a cocktail on a balmy summer’s evening, the Hôtel Particulier Montmartre has recently completed an exciting renovation of its bar and restaurant. 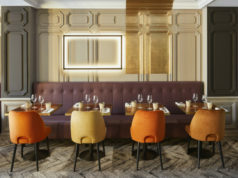 The hotel has transformed its previous three salons into one, creating a new large open space with a central bar which has been inspired by the Roaring Twenties and The Grand Budapest Hotel. Bright, luminous, and with all windows overlooking the garden, the new space will also help you make the most of the summer sun. The previous Mandragore restaurant also no longer exists, with the hotel offering instead an “à la carte” menu. The opening of the bar also comes with a new cocktail menu to enjoy, which includes all of the classics as well as the hotel’s own inventive creations. 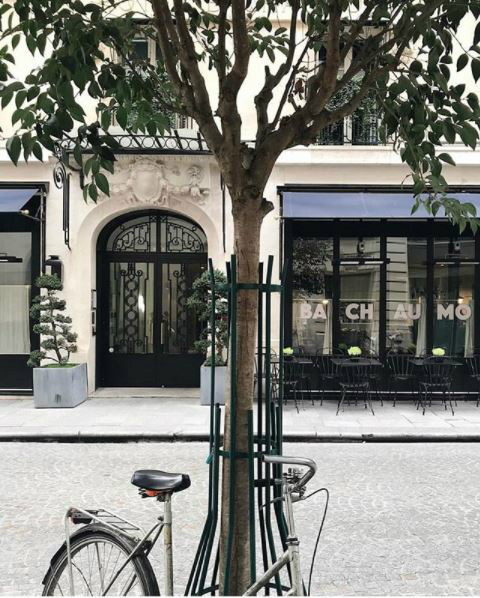 Thanks to its central location in the 2nd arrondissement, the stylish Hotel Bachaumont is already perfectly located for sightseeing, but with the hotel’s new “Paris Lifestyle” package you’ll have the chance to take in even more of the city. Guests staying between Thursday to Sunday will now have the opportunity to book this one-night offer, which includes a 4-hour guided bike tour. The itinerary will take you through some of Paris’s most iconic locations including Le Marais, Quartier Latin, le Jardin du Luxembourg, and Saint-Germain-des-Prés, leaving you feeling like a true Parisian as you cycle through the city – baguette in basket optional. There are three departures to chose from, but Thursday is the day to choose if you want to see Paris sparkling in all her glory at night. For those who want to experience the decadence and joie de vivre of the Roaring Twenties, the place to stay this summer is Le Bristol. 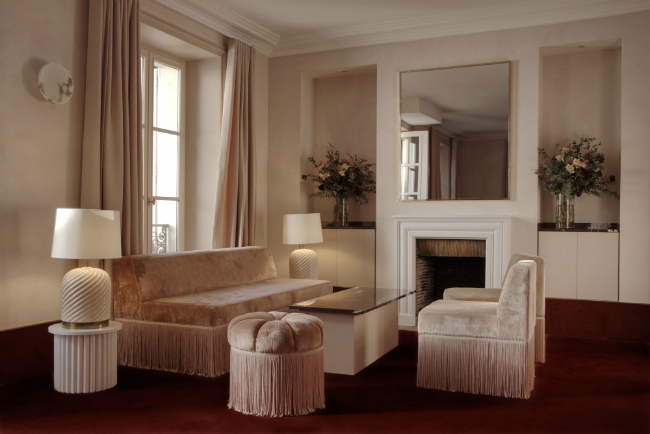 As we previously reported, the palace hotel has announced the opening of its new Josephine Baker Suite, created to honor the iconic chanteuse. 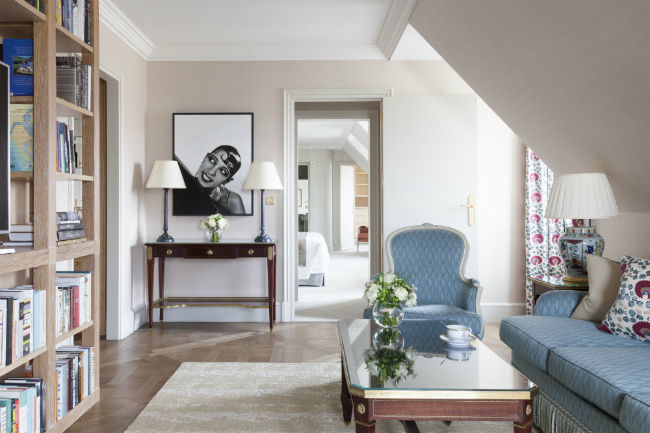 The suite has been elegantly decorated in a classic Parisian style inspired by Josephine herself, with silk and cashmere fabrics, rosewood Louis XVI style furniture, and an elegant white marble bathroom. Le Bristol also plays tribute to Josephine with photographs of the singer taken at the hotel, and shows off the city she loved with spectacular views over the rooftops of Paris and the Eiffel Tower. The restaurant at the San Regis, which offers ones of the most elegant places to lunch in the 8th, has just launched its seasonal menu for spring and summer. 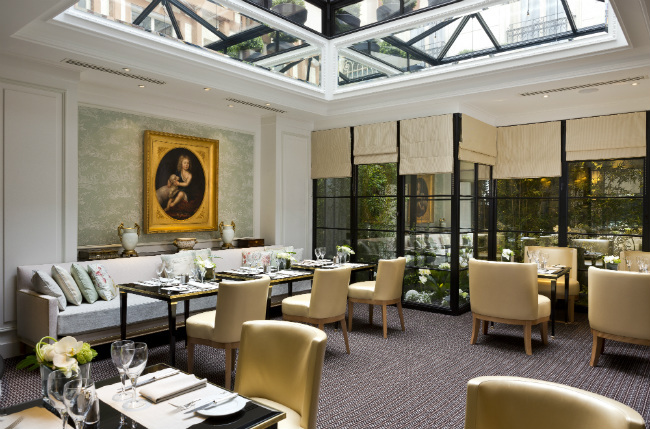 Chef Christophe Lericolais has created a varied and innovative selection of lighter dishes perfect for the warmer months, which can all be enjoyed in stunning location of a 19th century townhouse century and under the restaurant’s beautiful glass roof. And finally, don’t forget that France will also celebrate Mother’s Day this month on Sunday 27th May. Le Meurice will be holding a weekend-long event for the occasion, offering a special Mother-Daughter shopping package. 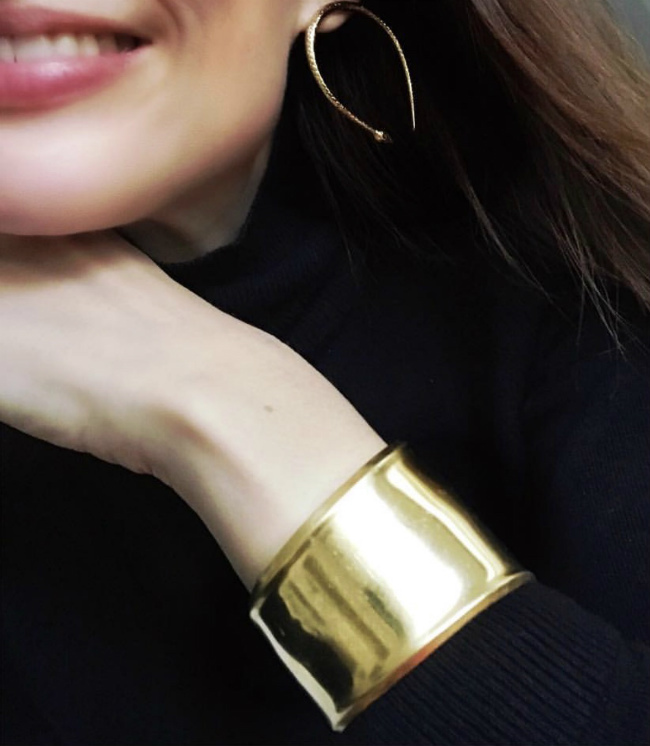 “M-Days” will give mothers and daughters the chance to create their summer wardrobes together in an intimate pop-up at the hotel before enjoying a decadent brunch, a glass of champagne, and incredible desserts from famed Pastry Chef Cédric Grolet.